Available to the hospitality chair who sets up food and beverages for the event. Registration will open September 16th 2017 to BWS Members and Guests. Public registration will open October 15th. Not a Member? Consider becoming a Member. 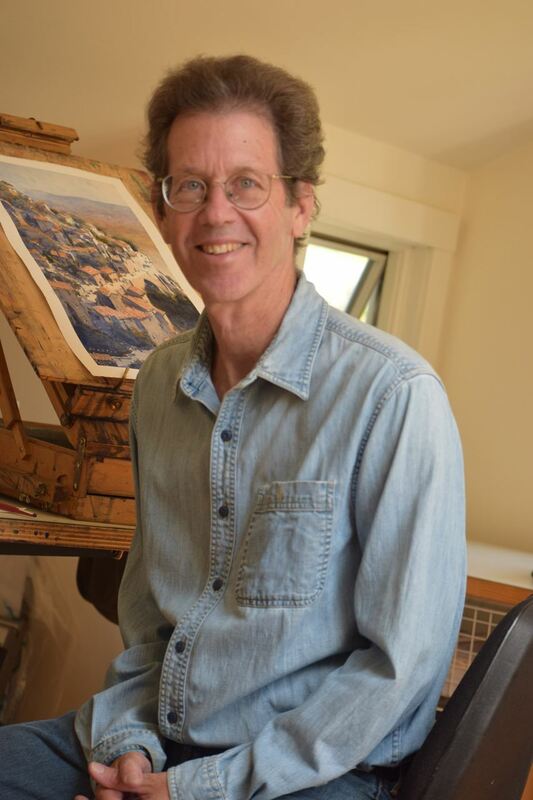 We are pleased to announce that Michael Reardon, a California award winning water-colorist and illustrator, will be giving a special presentation for the Baltimore Watercolor Society on the evening of Wednesday, November 15, 2017. Michael will demonstrate a painting from start to finish. During the demonstration, I will discuss my choices and strategy to complete the painting, including pigments, timing, and values. Explore the medium of watercolor in a relaxing and creative environment. Award winning water-colorist, Michael Reardon, sole focus will be bringing your creativity to light and aiding you in dispelling the myths of the difficulties of painting in this wonderful medium. Given the right encouragement and understanding of the basic fundamentals, watercolor is a creative outlet unmatched in its ease of use, cost of materials, and pure enjoyment of artistic expression. 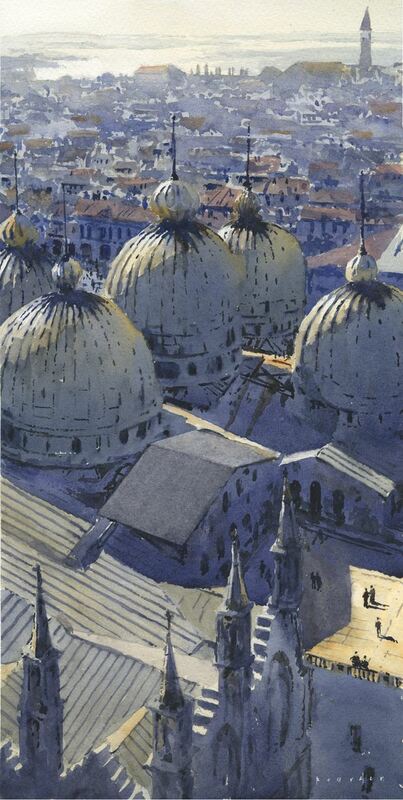 Manipulating light and color is essential to all watercolor painting. 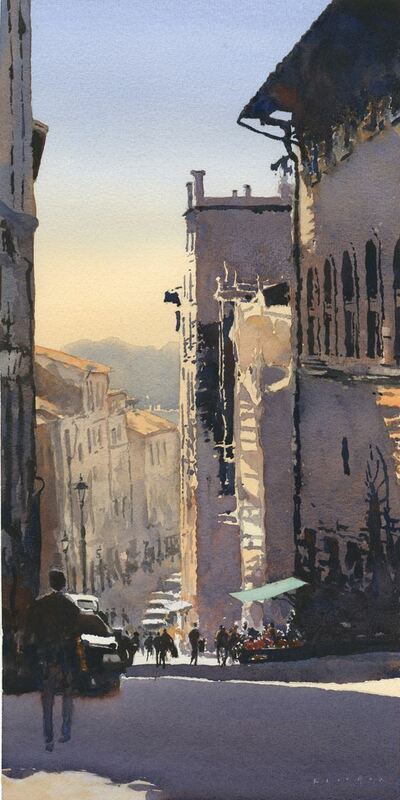 In this evening program, Michael will demonstrate the importance of values in creating a sense of light and the role color plays in the mood of your landscapes and cityscapes. Composition and vibrant color mixtures will be covered, emphasizing tools such as focal points, planes of depth, edge conditions, complementary colors, and color temperature. Michael will share his lengthy experience in architectural illustration to assist participants in ways to improve the structure of their paintings. He will also emphasize painting directly and with confidence. and go to Public Events. Confirmation of your registration will be sent upon receipt of your check or online payment.